We really liked the location and that you only need to walk 1 min to the beach is incredible. The pool is fenced which is really great if you are traveling with smaller kids. We went in low season and the beach was nearly empty. Amazing. The location is great if you have a car, right by a quiet beach. The pool is very nice and the apartment is a good size. Everything was great ideal in terms of location, comfort and cleanliness. Very easy to get around, could walk to town along the beach in about 30 minutes. 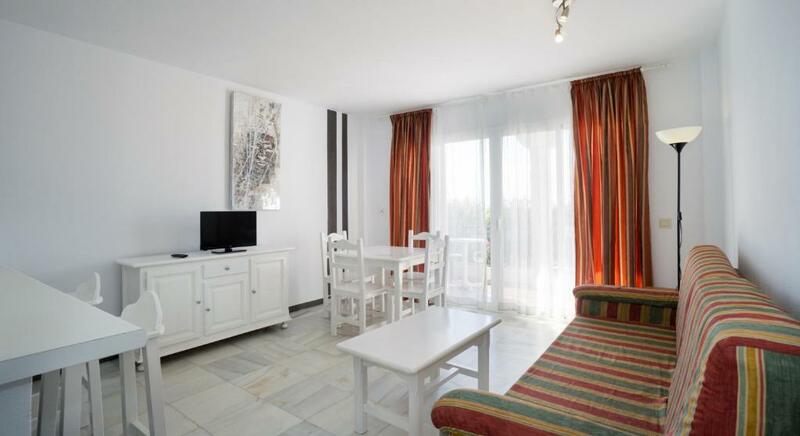 The suites are situated slightly outside of town. It's an easy and enjoyable walk along the beach to get to town. The suites are located right on the beach. 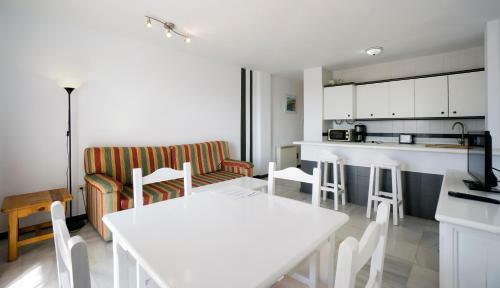 Lovely clean rooms and great service. Reported a leaking shower and replaced within 10 minutes. I actually collected the keys a day before my daughter arrived to stock their apartment with food n drinks etc because I live locally. 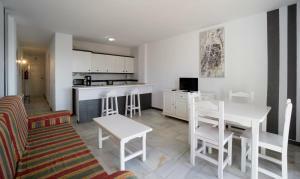 They are basic apartments but very clean and perfect for a base to explore Nerja. Local bus service at the end of the road 1 euro into town or a 20 minute walk along the beach. Little well stocked shop next to the apartments with British brands. The location was excellent and the pool and gardens lovely. Easy access and parking. The apartment was clean. Great hot water. New fridge and microwave. Not much equipment. The apartment was very well priced . Apartamentos Turisticos Rio Marinas This rating is a reflection of how the property compares to the industry standard when it comes to price, facilities and services available. It's based on a self-evaluation by the property. Use this rating to help choose your stay! 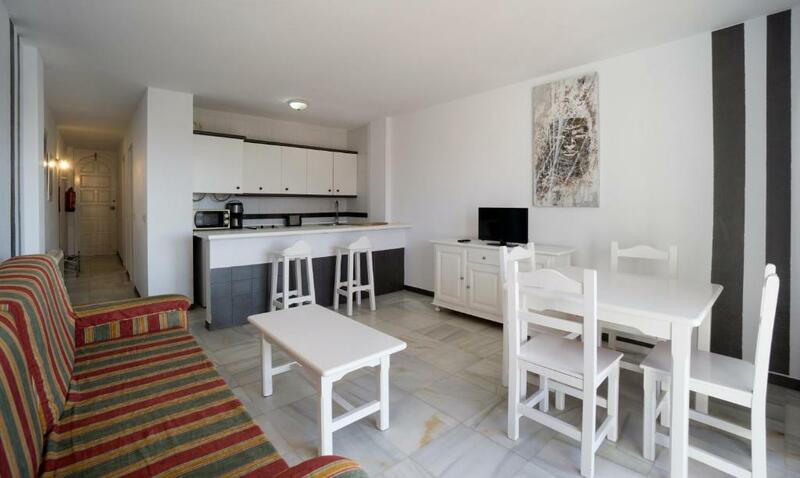 The Rio Marinas apartment complex is situated overlooking the beach and only half a mile from the lovely seaside town of Nerja, in the Andalusia region. Take a dip in one of the complex’s swimming pools, and sunbathe in the gardens. You can also walk down to the beach, or enjoy a tranquil walk through the surrounding landscape. You can visit nearby Nerja, and the famous Nerja caves, located 2.5 miles from Rio Marinas. 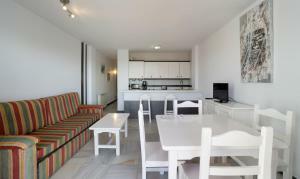 When would you like to stay at Apartamentos Turisticos Rio Marinas? 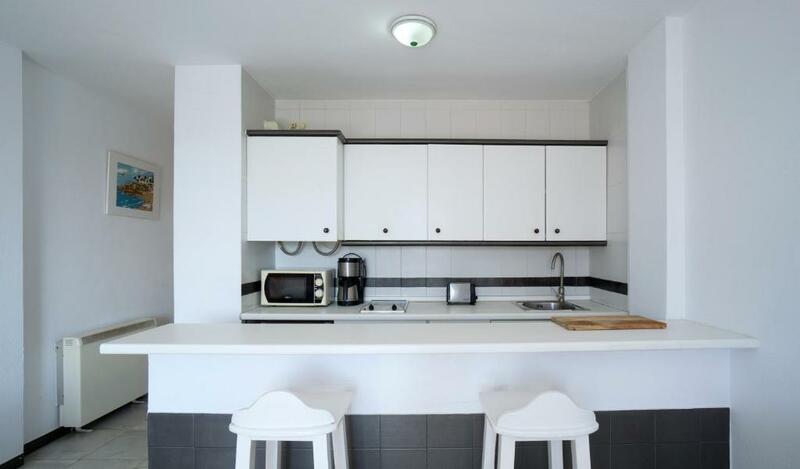 This apartment has a kitchenette, tea/coffee maker and balcony. 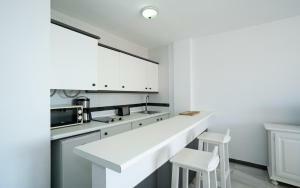 House Rules Apartamentos Turisticos Rio Marinas takes special requests – add in the next step! Apartamentos Turisticos Rio Marinas accepts these cards and reserves the right to temporarily hold an amount prior to arrival. Please inform Apartamentos Turisticos Rio Marinas of your expected arrival time in advance. You can use the Special Requests box when booking, or contact the property directly using the contact details in your confirmation. The advertised free WiFi was problematic. Could not get. 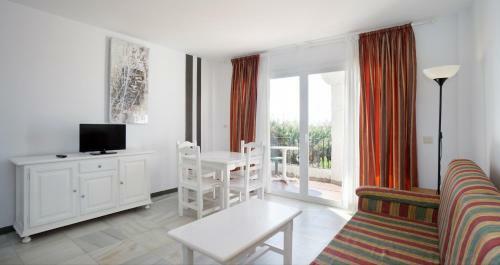 Access in the apartment and only when in the vicinity of the reception area. If advertised, it should be available in the apartments. WiFi /internet very frustrating hardly any connection. Upon arrival there was no wifi accessible in our suite. Management quickly moved us to another suite when we said that we needed access to wifi. Even in the new suite the wifi was intermittent and weak. Management have told us that they expect to have proper wifi installed soon. Wi Fi is advertised but the only place it can be picked up is in the reception office and as it was closed except for five minutes to pay for the apartment you have to stand outside to use it . Also the little heater supplied to heat the apartment is very inadequate and we spent our evenings feeling cold . There was only 3 mugs to have a drink with and two of them were badly cracked, no bottle opener or decent knife. The microwave was very noisy which didn’t give a lot of confidence in using it . The apartment was clean and roomy. The beds were soooo uncomfortable. Pillows rock hard. Could do with more blankets. Shower curtain dirty. Could smell smoke in the rooms. Could do with a good clean. Not very homely. Open the window in the room and couldn’t get it open again. No egg lifter. Plugs were loose and seemed a bit dodgy. The place was close to the beach. Bugs on patio doors. An filling apartment. WARNING the middle Saturday of September is an annual one night rock concert directly next to the apartments. Access to the concert is immediately past these apartments 1200 people!! Very loud music. Not the fault of the apartment owners but worth knowing! The apartment was in very poor condition. It badly needs to be redecorated. The beds were very uncomfortable. We booked over a year ago and were given twin beds. The manager pushed them together and said that that made it a double bed. We were not impressed. The toaster kept shorting out the electrics each time it was used. The bed linen wasn’t changed at all during our time there. We had no clean towels from Tuesday, when we arrived, and Saturday morning, when we left , four days early. We did ask but were told that there weren’t any. We had one roll of toilet paper the whole time that we were there. The apartment wasn’t cleaned at all during our stay. The whole place was a huge disappointment.